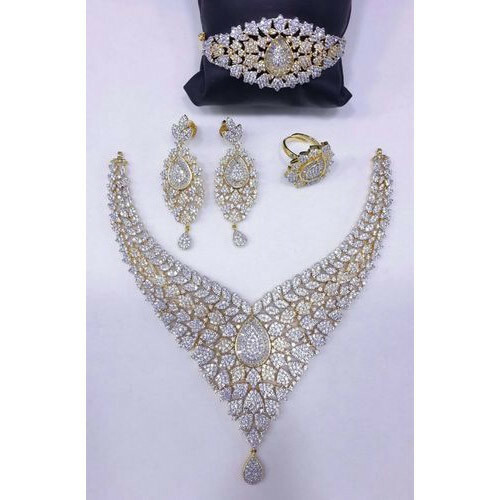 Prakash & Co. is a highly acknowledged organization engaged in Manufacturing, Exporting, Supplying and Trading Necklaces Sets, Mangalsutra Sets, Earrings, Tops and Bali, Rings, Bracelets, Bangles and Stone Jewellery. Prakash & Co. is a leading firm engaged in manufacturer, exporter, supplier, trader and wholesaler of Necklaces Sets, Bridal Necklace, Mangalsutra Sets, Designer Earrings, Finger Rings, Designer Bracelets, Designer Bangles, Designer Pendants Sets, Maang Tikka, Designer Payal and Earring Tops. Our ability to innovate exceptional and unique designs has made us the best choice of our clients. All our attractive and fancy jewellery are appreciated worldwide and are provided at nominal market price.